JAMESTOWN – The Prendergast Library will not be selling any art from its main art collection for at least the next 12 months. That’s the announcement made Thursday during the board of trustees monthly meeting. 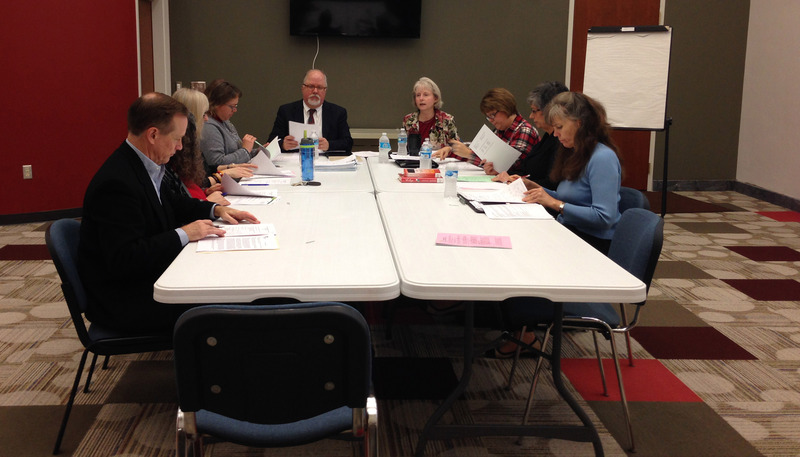 The Prendergast Library Board of Directors during its Dec. 17, 2015 meeting. Board president Tom Rankin announced during the December board meeting that Texas-based couple Jesse and Cathy Marion have offered to provide $60,000 to the library in 2016 in order to help close a budget deficit. In exchange, the library’s board will wait a minimum of 12 months before it reconsiders auctioning its art collection, which is valued at $3.17 million. Instead, the library will work with the Marions in identifying local patrons and supporters who may be willing to purchase the collection so that it can remain in the Jamestown area and available for the public to view, as intended when the artwork was originally purchased. Much of the collection includes 19th and early 20th century paintings by artists from America and Europe that were gifted to the library by various residents, including the Prendergast family during the early and mid 20th century. The art collection also including portraits of several Prendergast family members. The Prendergast family were one of the early settlers of Chautauqua County, with James Prendergast eventually settling and establishing the community that would later become Jamestown. 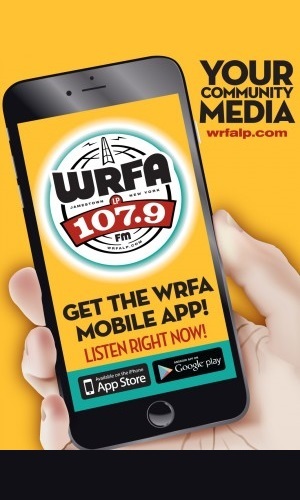 Following the meeting, Rankin told WRFA the board was very thankful for the Marion’s support. Rankin also said the goal for the library is to try and add $2 million to its endowment fund, which was one of the reasons why the board was looking to auction of its art collection in the first place. In addition, he said the library facilities are not the best place to store and present paintings that are over 100 years old, although he said the paintings with local historical relevance would be kept. In August, the library board announced it had reached a deal with Sotheby’s to serve as the agent to auction off the art collection. The board explained the auction was necessary to raise funding for the library’s endowment, which would then result in a larger annual revenue stream. When the plan was announced a number of individuals in the community voiced their concern over the library selling the artwork. Two months later during the October board meeting, Jesse Marion proposed to pay for the cost of restoring artwork and helping to pay for an upgrade of the library’s space to accommodate showing the collection. The Marion’s interest in the collection is largely due to the couple being a supporter of the arts and Cathy Marion being a Jamestown native. The couple has been involved in several fundraising campaigns in their current home of Houston and also at with the the Fredonia College Foundation. Rankin did say that the board would proceed with auctioning off six tapestries by modern artist Alexander Calder. Those tapestries could bring in as much as $35,000 – which would be put into the library’s endowment fund. Also during Thursday’s meeting, the board announced it was not going to layoff any employees in 2016, due to the Marion’s contribution. However, the decision to close the library on Sundays in order to help cut back on costs will remain in place. Interesting 15 mins by Mr..Rankin though the acoustics in that room are awful and could have been simply resolved with the addition of 6×8 Calder tapestries!